like in newer Command and conquer games. There also is a compiled version independent of autohotkey. Since the script runs independently from the game, you could use it with any game, not just Tiberian sun. Please use only the script or the compiled version, don't use both at the same time. 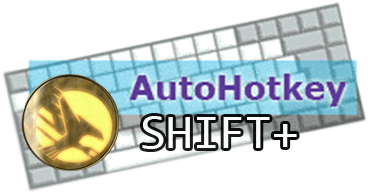 Autohotkey SHIFT+ is licensed under a Creative Commons Attribution-NonCommercial-ShareAlike 4.0 International License.